Dining at The Restaurant at Mr. C, the signature eatery of Mr. C Hotel Beverly Hills, is like stepping back to 1931 in Venice. 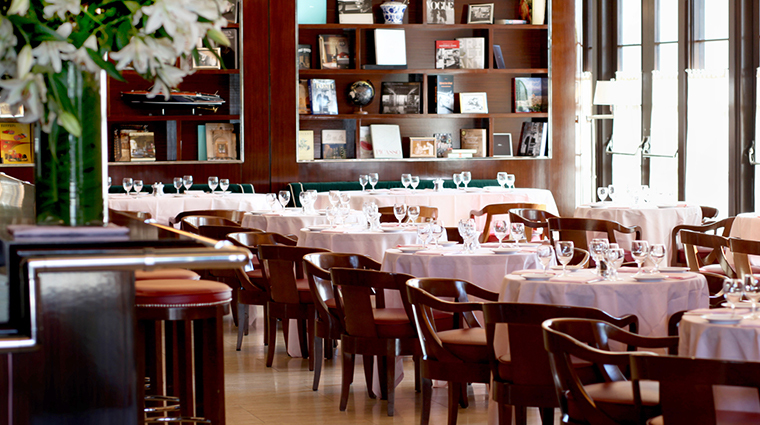 That’s the year when Giuseppe Cipriani opened Harry’s Bar near the iconic Piazza San Marco. Fast forward more than 85 years and that humble bar is now a four-generation family business of hotels, residences and restaurants around the world. 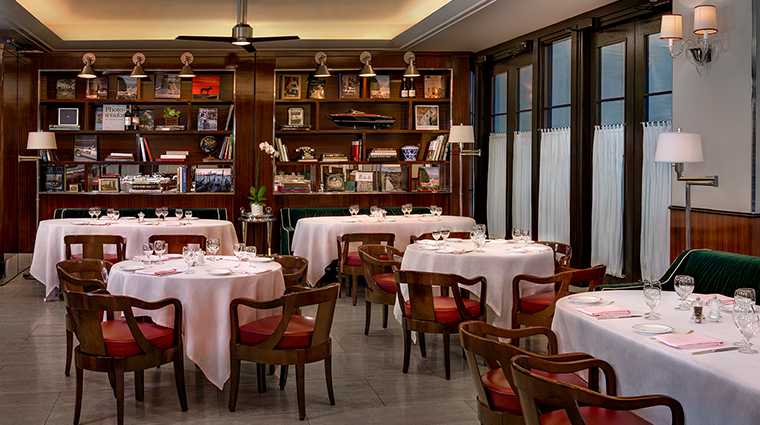 And after dining at The Restaurant at Mr. C, you’ll know why the legacy continues: sophisticated, yet familial, service. Cipriani treated every guest like royalty and that’s still carried out today throughout Mr. C Hotel Beverly Hills. The all-day restaurant serves American classic breakfast favorites, while lunch and dinner feature mostly traditional Italian fare. 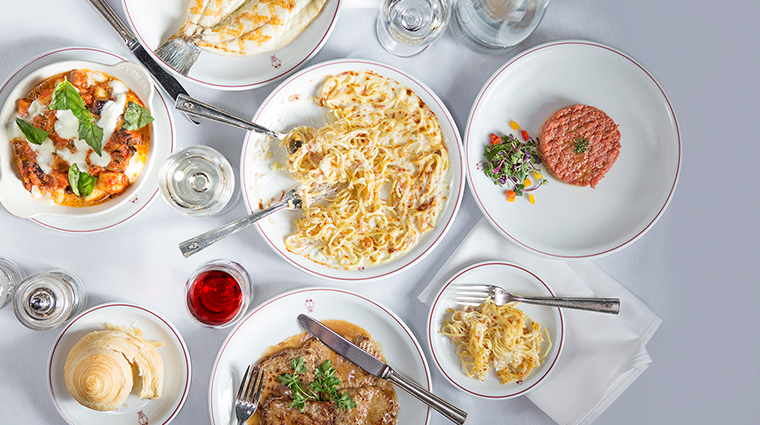 The menu, curated by brothers Maggio and Ignazio Cipriani, who operate the Mr. C hotel brand, is an ode to Venetian specialties, such as veal piccatine and beef carpaccio. Enjoy an aperitivo (an Italian pre-dinner cocktail ritual that stimulates your appetite), like a classic Venetian spritz, at the stunning mahogany bar. Or simply stay put for dinner. It’s a favorite dining spot among locals. Expect the utmost attentiveness delivered with a warm, friendly approach from servers donning white jackets and black bow ties. 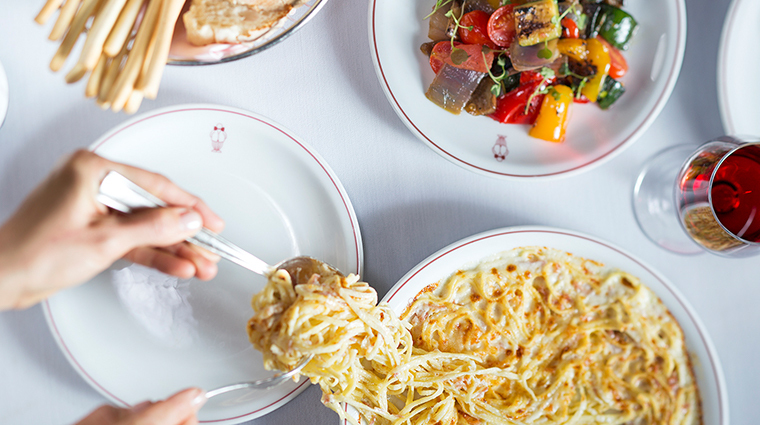 The three-course tasting menu offers full-sized portions of favorites, like the baked tagliolini or Venetian white bean soup, at an extremely reasonable price: $35 for lunch; $50 for dinner. If you enjoy people-watching (many celebrities frequent here because it’s just removed from the buzz of Beverly Hills) or sitting at a restaurant’s power table, request the dark green velvet banquette in the corner for sweeping views of the whole room. In the summer, dine alfresco by the pool while watching a classic movie projected on the hotel wall. It’s truly a la dolce vitaexperience. 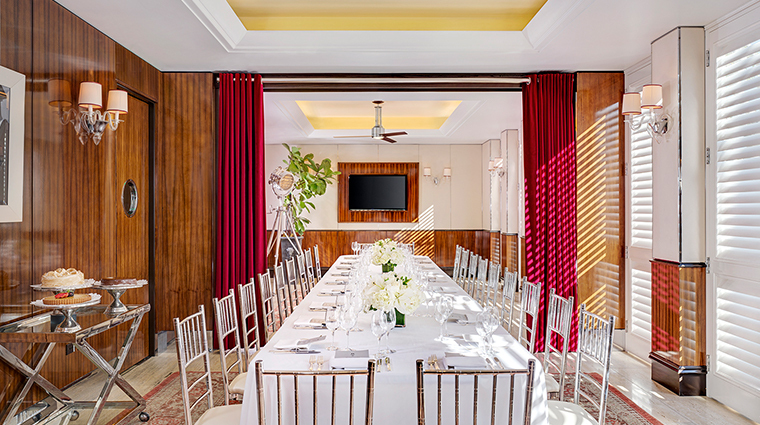 Whether for a wedding or business meeting, The Restaurant at Mr. C can accommodate up to 60 people in a private dining room within the main restaurant. Post-dinner, stop at the Lobby Lounge for live music, available on Fridays and Saturdays, and perhaps a game on the glass pool table. The wine menu is a succinct offering of Italian and California varietals. If you want something rare or esoteric, it’s best to bring it with you. Both the Bellini, a refreshing cocktail of prosecco and peach juice served in a flute, and beef carpaccio were invented by Giuseppe Cipriani in the 1940s. You’d do well to sample both here. 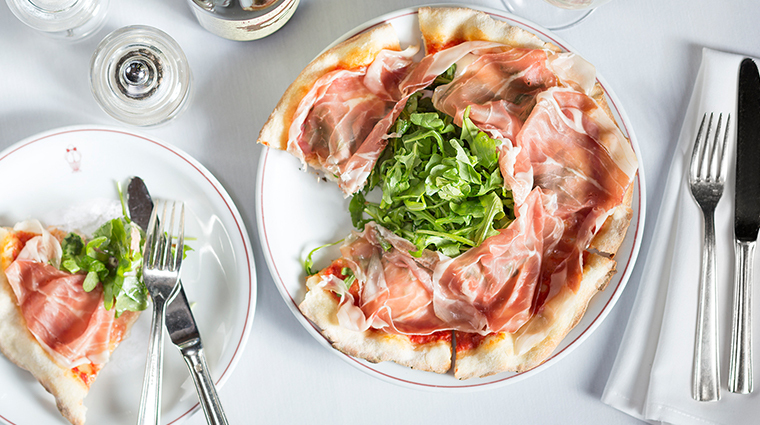 Menu favorites include baby artichoke and avocado salad, veal piccatine alla Milanese, Pizza Mr. C with burrata and prosciutto, and Chilean seabass alla carlina. Not in the mood for Italian? There’s a sprinkling of Americana classics, such as a burger and club sandwich, and international favorites, like tuna tartare. Displayed on the bar, the housemade cakes and pies worth saving room for. The house speciality is the giant vanilla meringue cake, which is festive enough for a birthday. 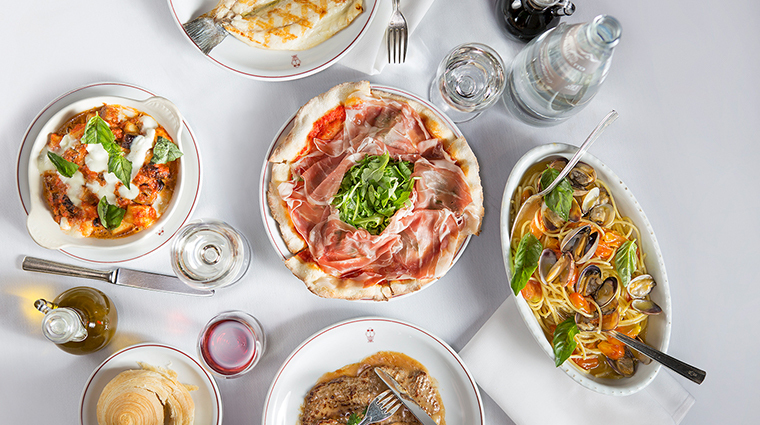 Chef Giuseppe Manco has manned the Cipriani kitchens around the world for more than a decade. In 2013, he became the executive chef at Mr. C Beverly Hills. Growing up in Naples and spending time on his grandparents’ farm, his passion for food and cooking blossomed as a young child. 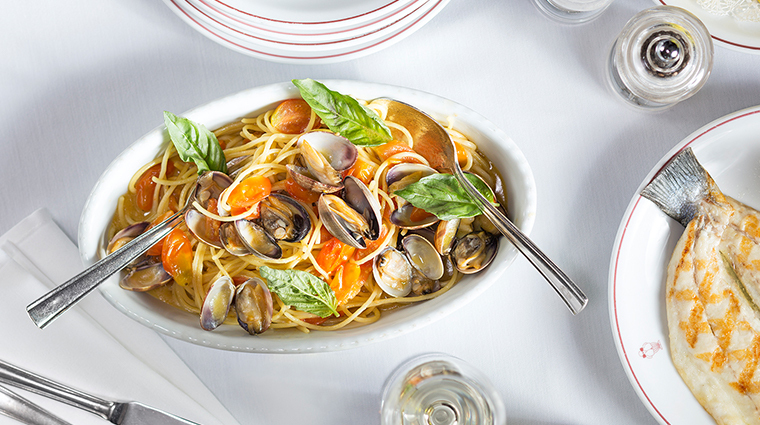 Chef Manco’s inspiration stems from Napoli favorites from his childhood, Venetian classics handed down from the Cipriani family and SoCal’s in-season produce and fresh seafood.